The developers of The Elder Scrolls Online today released a statement regarding the upcoming launch on next-generation consoles, the PlayStation 4 and the Xbox One. 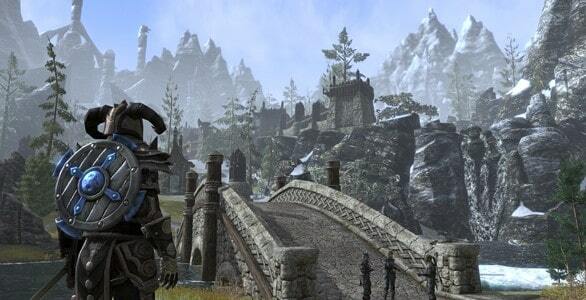 The next-gen console version of The Elder Scrolls Online was originally meant to be releasing next month but the statement released today states that is no longer possible and that it has been delayed indefinitely. on the status of these releases. Read on for the latest information:We’ve been grateful to our fans for the wonderful response to our recent launch of The Elder Scrolls Online for PC/Mac, but we know many of you are eagerly waiting to play the game on the PlayStation 4 and Xbox One. delay is as disappointing to many of you as it is to us. Less than a month before the expected release and ESO fans have been hit with a potential 6 month delay and maybe even a 2015 release. To soften the blow Zenimax Online Studios have announced that a new arrangement has been made with both Sony and Microsoft that will allow anyone that purchases The Elder Scrolls Online before the end of June will have the opportunity to transfer their characters to either console platform complete with an additional 30 days of subscription.